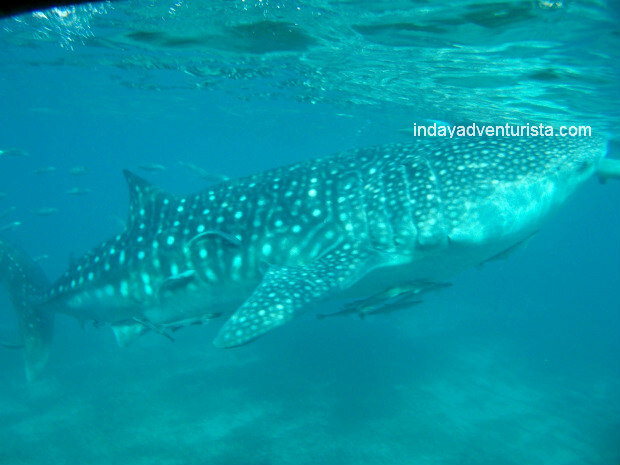 A Whale Shark is a are slow-moving extant cetacean and is the largest fish in the world which inhabits all tropical and warm-temperate seas. 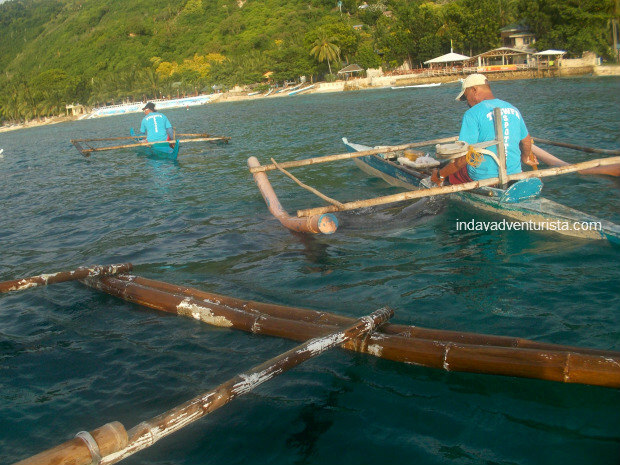 In the Philippines, it is locally known as “tuki” or “butanding”. Their head is flattened with a wide mouth and its vast size resembles the whales from which its common name has been is derived. 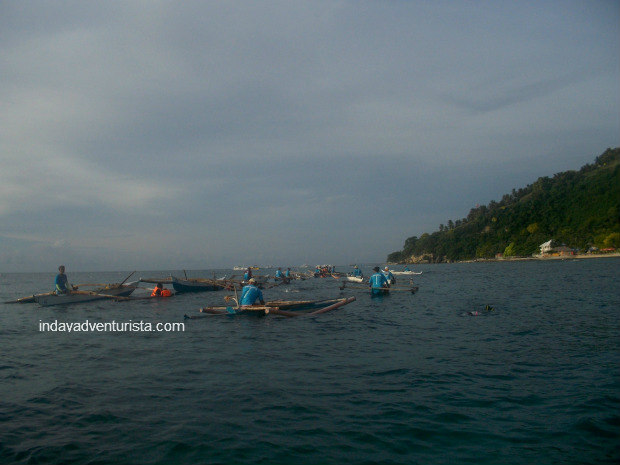 A big number of tourists began visiting Oslob not just to see the whale sharks but also to snorkel or dive with them. Interactions with the whale sharks also raised awareness about this endangered mammal. People now realized that these friendly giants are a gem and the organizers put much importance to their well being by having a brief session on the do’s and don’ts before each set of tours begin. Maintaining a distance of at least 4 feet is a must plus petting, touching and riding (obviously) are a big NO NO. There’s an imposed fine and jail time for anyone who does not follow these guidelines. 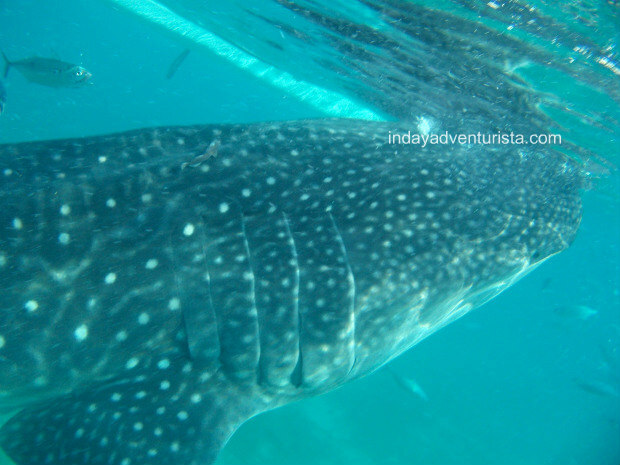 Aside from touching, washing off any sunscreen/suntan lotion (or not applying sunscreen to keep the waters free of pollutants) is a must and no flash photography are some of the important points that were emphasized for the benefit of the whale sharks. After the brief orientation, our assigned guides will paddle a few minutes towards the area designated for the viewing/swimming. Each assigned boat have 3 guides. Swimming accessories like snorkeling gears and life vests are provided for your safety. There were underwater and action cameras available (for those who don’t have one with them) for a fee and they will have your pictures copied to a disk. Our guide were very charming and friendly. They are informative and knowledgeable. 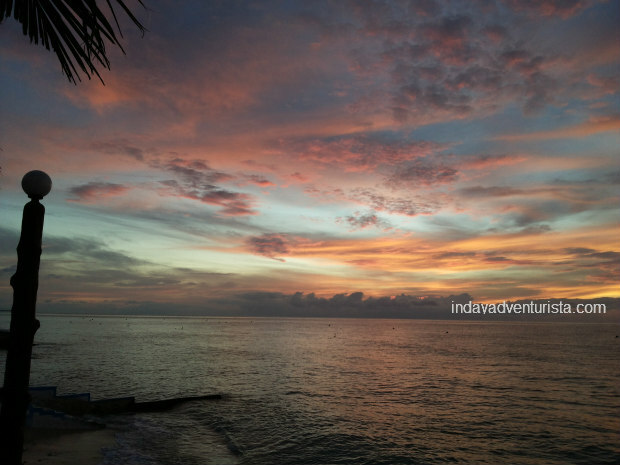 I strongly suggest going there the earliest possible time to avoid the crowds, especially on peak seasons like summer or long holiday breaks. Recommended time of watching is from 6AM – 11 AM, after that chances of viewing is very slim. The experience was very rewarding. 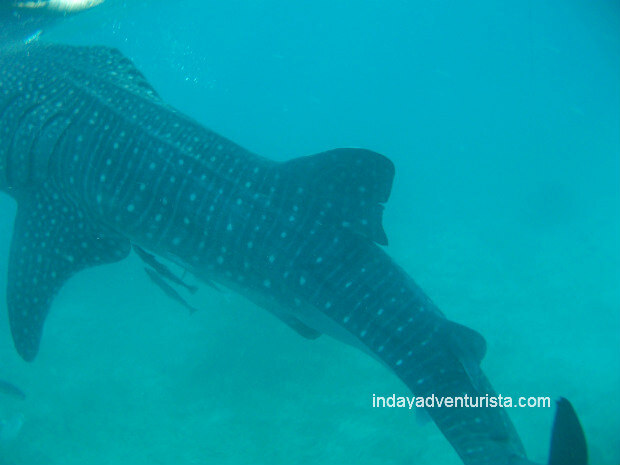 My encounter with the whale sharks was a fascinating adventure. Our guides were spot on in terms of taking pictures of us. They signal us where to look or when to dive down in time for the 20-foot whale shark looms into view and just like that, you’ll have a bunch of memorable pictures. Time travels fast when you’re having fun because far too soon, our guides signaled the end of our set. Nonetheless, we got what we came for and enjoyed it a lot. Another heck of an adventure scratched off my bucket list. 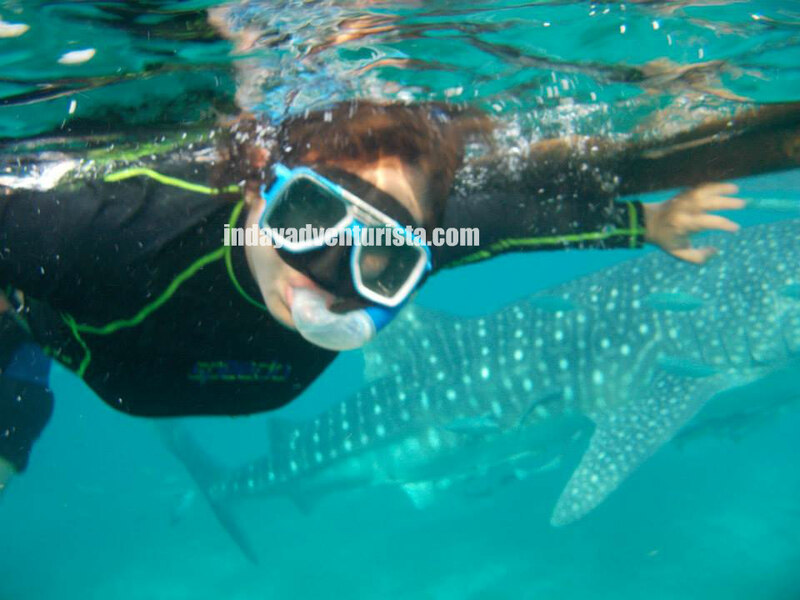 Whale Shark watching/swimming is good for 30-mins only and is available daily from 6AM – 12NN only. 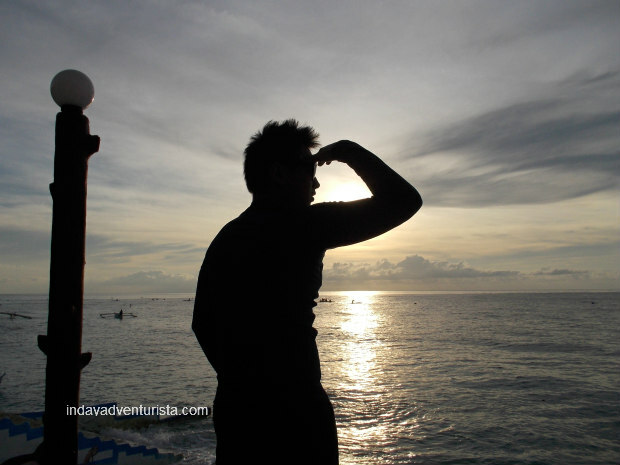 Oslob is rich with other natural beauties in addition to the whale sharks. We were able to visit the amazing Tumalog Falls. Also known as the “Toslob Falls” or “Mag-Ambak Falls” – Tumalog Falls is situated in the town of Oslob. It is about 15 minutes drive from the whale-watching site. I will be creating a separate article about Tumalog Falls so please watch out for it in the coming posts. Popularity hasn’t scared the whale sharks away. And we hope it will stay that way. We, tourists, should be mindful that these gentle giants are a blessing to the community and we have a responsibility to take care of them and not harm them in any way. 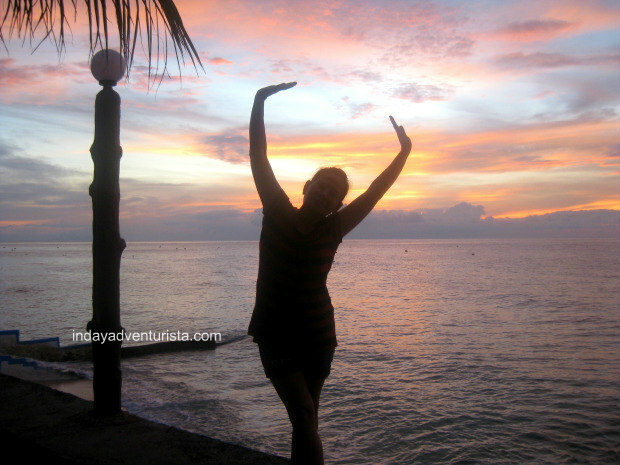 We left Cebu City at about 3AM to avoid any hustle & bustle and took the bus going to Oslob from the South Bus Terminal. It is usually a 4-hour bus ride but our trip only lasted for less than 3 hours. We got there before 6AM so there was room for taking pictures and prepping. We were the first batch to go, and I think it is the perfect time to be in. From Cebu City South Bus Terminal, take the bus going to Oslob or Sumilon. Inform the ticket collector to drop you off at brgy. Tan-Awan in Oslob. The site if just along the highway so you will not miss it.